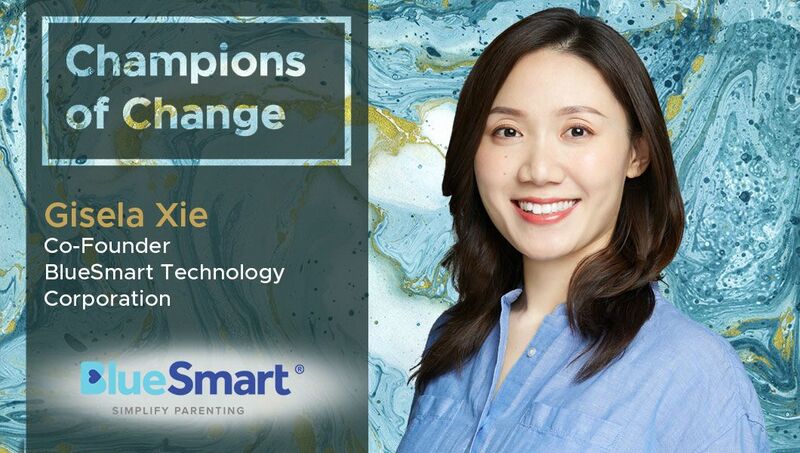 Gisela Xie: BlueSmart Technology’s mission is to simplify parenting. Specializing in IoT baby products, our first product, BlueSmart mia, is an award-winning smart baby feeding monitor that fits on any most bottles. It tracks all the essentials of feeding a newborn, keeping parents worry-free and connected. The company was founded in 2015 and is headquartered in Mountain View, California. Gisela Xie: Baby tech is a booming industry despite being relatively new. We’re happy to see that there are so many startups focusing on using technology to improve parenting and early child education. Luckily, most of our team members are very tech savvy. So instead of being overwhelmed with the many different ways of streamlining our business, we are actively seeking out and adapting new software tools to make our work easier and more efficient. And since there are so many tools out there, we can find ones specific to our business. Gisela Xie: Data shows that millennial parents (myself included) are raising children differently. We wait longer to start a family, are willing to share more on social media, and are far more child-focused than parents in past decades. Being able to track, stream, and analyze all the data about your parenting routine helps millennial parents dramatically with scheduling and staying worry-free. More and more products are being invented to create more families in sync. Gisela Xie: We have teams based in different time zones which increases the difficulty of smooth collaboration. We veered away from emailing to adopting a company-wide project management software. It has contributed significantly to an increase in work efficiency and has kept everyone on the same page despite being in different countries and time-zones. Gisela Xie: Yes, we develop all our software and embedded coding in-house. Our IT team’s first great challenge was developing BlueSmart mia – the world’s first parenting tool that can automatically, comprehensively, and remotely record babies feeding data. We know that babies have their bottle preferences, and as such, we needed BlueSmart mia to accommodate all of them. That meant that there would very little space in the device for us to fit electronics, it had to fit all standard-sized bottles, and it also needed to be waterproof because of the importance of cleaning. All of this all while tackling the biggest puzzle of them all: volume measurement. Our team tried many different measurement methods over the course of three years. Electric field, optical, ultrasonic… all ending in failure. We decided to use voice recognition technology on the first generation of mia so that parents could “tell” mia how much milk their baby just ate. We did not give up on the fully automatic tracking though. By the end of 2018, we launched the second generation of mia, mia2, which can automatically measure all the feeding data including feeding amount by using a weight sensor. Gisela Xie: We aim to make data syncing work in the places like childcare centers. Mia2 is designed to sync data to the mobile app via Bluetooth. It works great for family. But we learned that when there are 8-10 mias being used at the same time in places like daycares, the current solution is too slow and sometime can cause confusion to the daycare teachers. Gisela Xie: Yes, we are doing this already. We’re living in a mobile generation – everyone constantly on the go with smartphones in hand. Being able to offer an easy to purchase solution from the phone is a must-have for our customers. Gisela Xie: Podcasts are the best way for me to get news and latest information. My favorite podcasts are NPR News, TED radio hours, and Planet Money. I also believe that reading is very important. I try to read every day, even if it’s just 15 minutes on my Kindle or listening to an audio book. Right now I am reading The Artist’s Way. It’s a great book about how to stay focused and creative. Gisela Xie: LinkedIn and Instagram. LinkedIn is great for work connections and I enjoy using Instagram for capturing and sharing great moments in life.